We’re not sure you can call it chrome wheeled, fuel injected and steppin’ out over the line as described in native son Bruce Springsteen’s iconic song, but September was a very good month in sports wagering in New Jersey. Betting activity doubled to $183.9 million compared to $95.6 million in August, according to figures released Friday. The start of both college and professional football seasons prompted a tsunami of online bets that brought about the increase. According to the N.J. Division of Gaming Enforcement, on-site sports wagers completed at Garden State racetracks and casinos were $79 million, an increase of $5.1 million or 7 percent. That almost was a pittance compared to bets placed on the internet which jumped in August to September from $21.7 million to $104.9 million. In May, New Jersey was on the positive end of a U.S. Supreme Court decision that made it possible for states to offer sports betting if they so desired. Ever since, sports betting activity across the U.S. has grown exponentially. In the months since the ruling, Delaware, Mississippi, and West Virginia have launched sportsbooks. Nevada has long allowed betting on sports. Two weeks ago, the first sports betting certificates were awarded in Pennsylvania, one to the Bucks Country Parx Casino, by the state Gaming Control. And last week, a tribal casino in New Mexico opened its own sportsbook. In New Jersey, football accounts for more than $94 million in bets since June. Baseball is responsible for bringing in $119 million. Of the total amount of bets placed, the state’s racetracks and casinos brought in $40.5 million of gross revenue. State coffers received $4.2 million from the taxes on sports betting and internet sports betting revenues. “Consumer response continued to exceed our expectations in September,” said fantasy sports provider FanDuel Group in a prepared statement. FanDuel launched a sportsbook at New Jersey’s Meadowlands Racetrack. By 2021, New Jersey’s sports betting industry could overtake the Nevada market, according to predictions in a September analysis by Eilers & Krejcik Gaming. In that year, the consultant believes New Jersey will take in $442 million, whereas Nevada is expected to bring in $410 million. The report also predicts that 20 online sportsbooks will be running in the state by the end of the year. 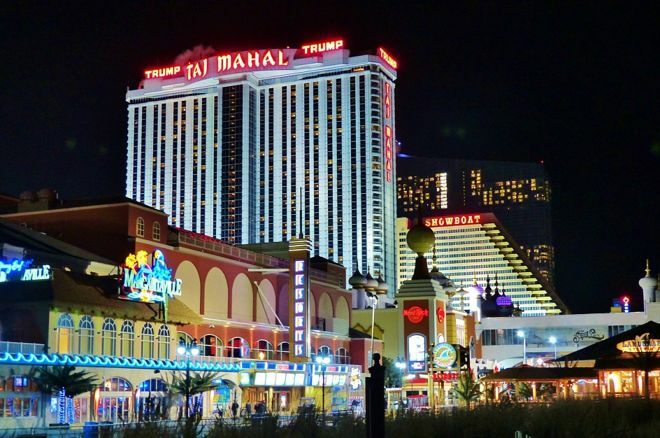 “We believe a combination of factors could push the nascent New Jersey sports betting market past the more mature Nevada market by as soon as 2021,” the Eilers & Krejcik reports said. A sports betting analyst agrees, saying it hard to see a ceiling for sports betting in the state due to its population base.